This is a legal agreement between you, the potential user of this website ("you"), and CineBee Reviews Priviate Ltd("CineBee"). Your use of CineBee's products, services and web sites, this website, or any of the products and services offered on this Site (collectively, the "Services") is conditioned on your acceptance, without modification, of these Terms of Service ("Terms"). Please read these Terms carefully. If you do not agree to these Terms, you should not use the Services. You can accept the Terms simply by using the CineBee Services. In this case, you understand and agree that CineBee will consider your use of the Services as agreement to the Terms. CineBee may, at its sole discretion, modify these Terms at any time, and such modifications will be effective immediately upon being posted on this Site. By using CineBee, you agree to all of the following. CineBee is constantly innovating in order to provide the best possible experience for its users. You acknowledge and agree that the form and nature of the Services, which CineBee provides, may change from time to time without prior notice to you.As part of this continuing innovation, you acknowledge and agree that CineBee may stop (permanently or temporarily) providing any of the Services to you or to users generally at CineBee's sole discretion, without prior notice to you. You may stop using the Services at any time. You acknowledge and agree that if CineBee disables access to your account, you may be prevented from accessing the Services, your account details, or any files or other content that is contained in your account. These policies may change from time to time. Changes may result in some features being changed or removed. In order to access certain Services, you may be required to provide information about yourself (such as identification or contact details) as part of the registration process for the Service, or as part of your continued use of the Services. You agree that any registration information you give to CineBee will always be accurate, correct, and up to date. You agree to use the Services only for purposes that are permitted by (a) the Terms and (b) any applicable law, regulation, or generally accepted practices or guidelines in the relevant jurisdictions (including any laws regarding the export of data or software to and from the United States, United Kingdom, India, and other relevant countries). You agree not to access (or attempt to access) any of the Services by any means other than through the interface that is provided by CineBee, unless you have been specifically allowed to do so in a separate agreement with CineBee. You specifically agree not to access (or attempt to access) any of the Services through any automated means (including use of scripts or web crawlers) and shall ensure that you comply with the instructions set out in any robots.txt file present on the Services. You agree that you will not engage in any activity that interferes with or disrupts the Services (or the servers and networks which are connected to the Services). Unless you have been specifically permitted to do so in a separate agreement with CineBee, you agree that you will not reproduce, duplicate, copy, sell, trade, or resell the Services for any purpose. You agree that you are solely responsible for (and that CineBee has no responsibility to you or to any third party for) any breach of your obligations under the Terms and for the consequences (including any loss or damage which CineBee may suffer) of any such breach. You agree not to steal, hack, or otherwise inappropriately use CineBee or its content. You agree and understand that you are responsible for not automating account creation. You are also responsible for maintaining the confidentiality of passwords associated with any account you use to access the Services. Accordingly, you agree that you will be solely responsible to CineBee for all activities that occur under your account. CineBee is not responsible whatsoever for any actions taken under your account. If you become aware of any unauthorized use of your password or of your account, you agree to notify CineBee immediately at support@cinebee.in. We'll take all reasonable precautions to encrypt your account information, but you are responsible for protecting your own passwords and information. You understand that all information (such as files, media, images, text) which you may have access to as part of, or through your use of, the Services is the sole responsibility of the source from which such content originated. All such information is referred to here as the "Content". CineBee does its best to give proper credit to the source from which the data was indexed. CineBee's search engine lays no claim to the ownership of the content originated at these sites. If some content is cached, it is done for the sole purpose of providing users with the best possible service. If you think that any content is objectionable, please inform CineBee at your convenience. CineBee respects the intellectual property of others, and we ask our users to do the same. If you believe that your work is used in a way that constitutes copyright infringement, or your intellectual property rights have been otherwise violated, please provide CineBee the following information: • A signature (electronic or physical) of the person authorized to act on behalf of the owner of the copyright or other intellectual property interest. • A description of the copyrighted work or other intellectual property that you claim has been infringed. • A description of where the material that you claim is infringing is located on the site. • Your address, telephone number, and email address. • A statement by you that you have good faith belief that the disputed use is not authorized by the copyright owner, its agent, or the law. • A statement by you, made under penalty of perjury, that all the above information is accurate, and that you are the copyright or intellectual property owner or authorized to act on the behalf of such owner. You agree that you are solely responsible for (and that CineBee has no responsibility to you or to any third party for) any Content that you create, transmit, or display while using the Services and for the consequences of your actions (including any loss or damage which CineBee may suffer) by doing so. You understand that by using the Services you may be exposed to Content that you may find offensive, indecent, or objectionable and that, in this respect, you use the Services at your own risk. All content is copyrighted to its original owner. We protect and display copyrights as best we can, but if you think anything is out of line or not attributed properly please let us know right away and we'll fix it. You may find some content offensive. We're not responsible for that. Unless you have agreed otherwise in writing with CineBee, nothing in the Terms gives you a right to use any of CineBee's trade names, trademarks, service marks, logos, domain names, and other distinctive brand features. You agree that you shall not remove, obscure, or alter any proprietary rights notices (including copyright and trade mark notices), which may be affixed to or contained within the Services. Unless you have been expressly authorized to do so in writing by CineBee, you agree that in using the Services, you will not use any trade mark, service mark, trade name, or logo of any company or organization in a way that is likely or intended to cause confusion about the owner or authorized user of such marks, names or logos. Using CineBee doesn't mean you can freely use our brand or identity. Please respect our trademarks and copyrights. CineBee may, at any time, terminate its legal agreement with you, including termination of your account, if you breach any provision of the Terms, as per the sole discretion of CineBee. CineBee holds the right to deny you Services without any express reason. CineBee may also terminate the relationship with you if CineBee is legally required to do so (e.g., when provision of Services provided by CineBee is, or becomes, unlawful); or if the partner(s) with whom CineBee offered the Services to you has terminated its relationship with CineBee or ceased to offer the Services to you; or the provision of the Services to you by CineBee is, in CineBee's opinion, no longer commercially viable. We can stop providing CineBee services at any time. You may stop using the services at any time. You expressly understand and agree that your use of the services is at your sole risk and that the services are provided "as is" and "as available". In particular, CineBee, its subsidiaries and affiliates, and its licensors do not represent or warrant to you that: • Your use of the services will meet your requirements, • Your use of the services will be uninterrupted, timely, secure, or free from error, • Any information obtained by you as a result of your use of the services will be accurate or reliable, and • That defects in the operation or functionality of any software provided to you as part of the services will be corrected. Any material downloaded or otherwise obtained through the use of the services is done at your own discretion and risk, and you will be solely responsible for any damage to your computer system or other device, or loss of data that results from the download of any such material. No advice or information, whether oral or written, obtained by you from CineBee, or through or from the services shall create any warranty not expressly stated in the terms. CineBee further expressly disclaims all warranties and conditions of any kind, whether express or implied, including, but not limited to, the implied warranties and conditions of merchantability, fitness for a particular purpose, and non-infringement. We do our best, but everything may not work perfectly all the time. CineBee is never liable for any direct, indirect, incidental, special, consequential, or exemplary damages which may be incurred by you, however caused and under any theory of liability. This shall include, but not be limited to: • Any loss of profit (whether incurred directly or indirectly), any loss of goodwill or business reputation, any loss of data suffered, cost of procurement of substitute goods or services, or other intangible loss; • Any loss or damage which may be incurred by you, including but not limited to loss or damage as a result of: ° Any reliance placed by you on the completeness, accuracy or existence of any advertising, or as a result of any relationship or transaction between you and any advertiser or sponsor whose advertising appears on the services; ° Any changes which CineBee may make to the services, or for any permanent or temporary cessation in the provision of the services (or any features within the services); ° The deletion of, corruption of, or failure to store any content and other communications data maintained or transmitted by or through your use of the services. ° Your failure to provide CineBee with accurate account information; °Your failure to keep your password or account details secure and confidential. The limitations on CineBee's liability to you above shall apply whether or not CineBee has been advised of or should have been aware of the possibility of any such losses arising. Despite all this legal language, we can't cover all possible scenarios but – in short – we're not financially responsible to you if something weird goes wrong. Some of the Services may be supported by advertising revenue and may display advertisements and promotions. These advertisements may be targeted to the content of information stored on the Services, queries made through the Services, or other information. The manner, mode, and extent of advertising by CineBee on the Services are subject to change without specific notice to you. In consideration for CineBee granting you access to and use of the Services, you agree that CineBee may place such advertising on the Services. CineBee will run some ads. The networks which serve these ads target users, behaviors, and other information to show the most relevant ads possible. The Services may include hyperlinks to other web sites or content or resources. CineBee may have no control over any web sites or resources which are provided by companies or persons other than CineBee. You acknowledge and agree that CineBee is not responsible for the availability of any such external sites or resources, and does not endorse any advertising, products, or other materials on or available from such web sites or resources. You acknowledge and agree that CineBee is not liable for any loss or damage which may be incurred by you as a result of the availability of those external sites or resources, or as a result of any reliance placed by you on the completeness, accuracy or existence of any advertising, products or other materials on, or available from, such web sites or resources. We're not responsible for the content, quality, or reliability of any outbound links or third-party services, nor do we endorse any advertisements or products which may appear. Sometimes when you use the Services, you may (as a result of, or through your use of the Services) use a service or download a piece of software, or media, or purchase goods, which are provided by another person or company. Your use of these other services, software, or goods may be subject to separate terms between you and the company or person concerned. In the event the Terms do not affect your legal relationship with these other companies or individuals. The Terms constitute the whole legal agreement between you and CineBee and govern your use of the Services (but excluding any services which CineBee may provide to you under a separate written agreement), and completely replace any prior agreements between you and CineBee in relation to the Services. You agree that CineBee may provide you with notices, including those regarding changes to the Terms, by email, SMS, regular mail, or postings on the Services. You agree that if CineBee does not exercise or enforce any legal right or remedy which is contained in the Terms (or which CineBee has the benefit of under any applicable law), this will not be taken to be a formal waiver of CineBee's rights and that those rights or remedies will still be available to CineBee. If any court of law, having the jurisdiction to decide on this matter, rules that any provision of these Terms is invalid, then that provision will be removed from the Terms without affecting the rest of the Terms. The remaining provisions of the Terms will continue to be valid and enforceable. Things happen, and these documents may change. Whatever is posted here today constitutes your current agreement with CineBee. Simply loved it. It's so user friendly! And it's quick functionality adds extra charm, Now we can review films with this simple yet extra ordinary app. Great idea by app curator! Go go go. Friends and me are symbiotically connected around movies with CineBee. I love the movie tribes and swiping my reviews. Good work. I did not know I watched so many in my life -- reviews are very addictive and the movie catalog is extensive. CineBee is a movie/WebTV review platform. CineBee is available on the Web, iOS and Android. If you want to watch a 3 hour movie or a 30 minute web series, it is alway a hit and not a miss with CineBee. How is CineBee different from other movie related sites and Apps? CineBee’s reviews are quite different to how you rate a movie/WebTV via Rotten Tomatoes, iMDB or BookMyShow. CineBee is all swiping and no typing -- and users can rate the movie, cast and crew. CineBee’s machine learning captures the taste in your review to recommend best content to watch, be it movie or a web series. How does Cinebee review lead to better movie recommendations? Every movie review is analyzed by CineBee’s machine learning algorithms to understand a user’s movie likes and dislikes. The APP’s review input includes not just an overall score but also scores for movie elements such as genre (Action, Comedy Family Drama, Suspense etc), besides Likes and scores for the the film cast. With the deeper understanding of your interest in a particular genre, CineBee is able to recommend similar other movies with computing and data analysis. The more the movies you and your friends review, the more reliable would be the recommendations you get for a movie. When a user submits a review, CineBee understands the taste of the user. CineBee then works to connect the user with friends and/or movie-buffs who have similar taste. Once you have a taste network, any review that is submitted by your taste network becomes a strong recommendation for you. This taste network is called a CineBee Tribe. CineBee’s taste database is available as a chatbot interface and called CineBot. With CineBot, you can get recommendations from your Tribe, predict best content to watch during your limited free time or commute time. 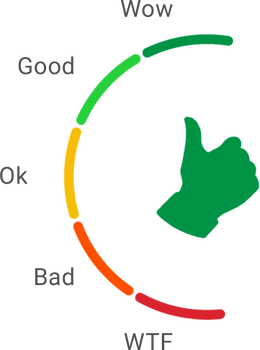 CineScore is a condensed graphical rating meter for a movie or a web-series. A movie or a web-series can have 1000+ reviews and a user can pick all the important trending elements from the CineScore graphical meter. CineScore uses proprietary machine learning techniques to distill content attributes into the HOT and NOT sections without any human bias. Why is CineBee APP asking for mobile number during registration? CineBee’s mobile APP uses a mobile number based registration since we don’t want user’s to remember yet another username/password. CineBee’s also provide a mobile web version of its platform and user’s can use Facebook login to register and submit reviews.